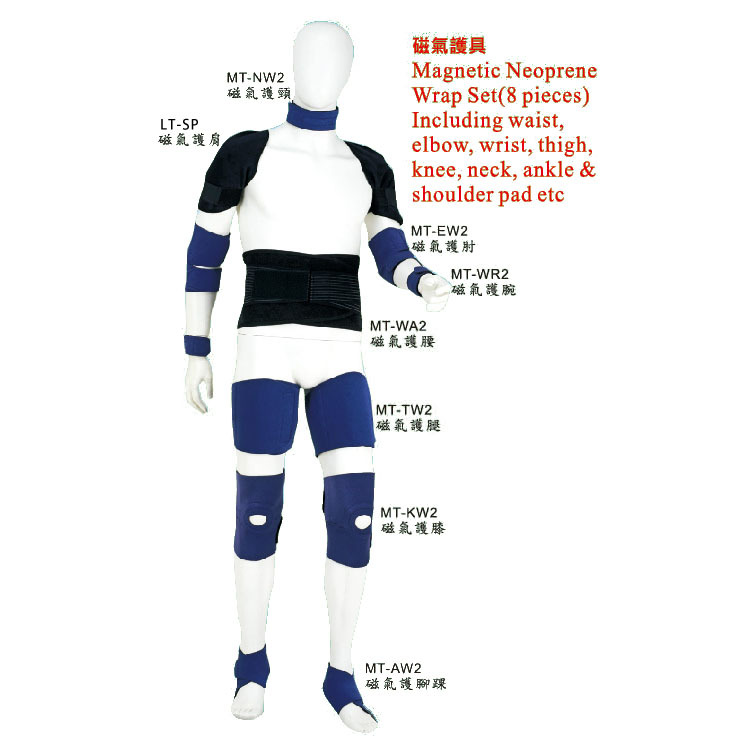 The strong support of Neoprene fabric combined with Bio Magnets could be protected the body and reduced the hurt when exercised. 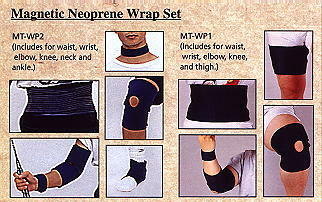 Magnetic Neoprene Wraps set includes of Neck﻿, Elbow﻿, Wrist﻿, Waist, thigh,﻿ Knee and Ankle. Healthy, Strong support, Breathable, Confortable, Flexible. Magnetic Strength: Around 1,000 + - 100 gauss. The velcro design be adjusted the size easier by user. Selling in separate piece be accepted too.